This is where it all began. Years ago, southern stingrays gathered in the shallow waters of Grand Cayman Island's North Sound to feed on the leavings from fishermen cleaning their catch. From these simple beginnings, the now worldwide phenomenon of stingray encounters was born. Today, the original is still the best, as the rays arrive like clockwork each day to glide among swimmers and waders, brushing silky-smooth wings against legs and gently slurping tasty fish bits from outstretched hands. It's an adventure that is safe and suitable for all ages, but every bit authentic and memorable. Stingray encounters take place in shallow water at the mouth of North Sound. The area is accessible only by boat, via trips of three to five miles across the sheltered waters of the sound. Stingrays show no fear of humans and will approach and even make brushing contact with their soft bodies. Participants are often provided with tidbits of squid or fish to offer to the rays, who will glide in and inhale the offering with a vacuum-like gulp. There are actually several closely-related sites where stingray encounters take place. The first, known as Sandbar, places participants on a sand bottom at depths of two to four feet. This is a wading encounter, with no fins needed. The others sites, Stingray City and Stingray Alley, are located nearby in slightly deeper water where participants can snorkel with the rays and explore a nearby coral reef. SEVEN MILE BEACH - CARADONNA RECOMMENDS includes 7 night deluxe accommodations, famous Stingray City Sandbar & Reef Sail snorkel, full island tour featuring Old Style Caymanian House, Hell Post Office, Turtle Farm, Rum Cake Center, Pedro’s Castle, Queen Elizabeth Botanical Garden, welcome non-alcoholic drink, daily snack by the pool, free WiFi, use of non-motorized watersports, airport transfers, hotel tax, and service charges. Valid 8/11/19-10/31/19. Add $325 per person for travel 4/27/19-8/10/19 & 11/1/19-12/20/19. 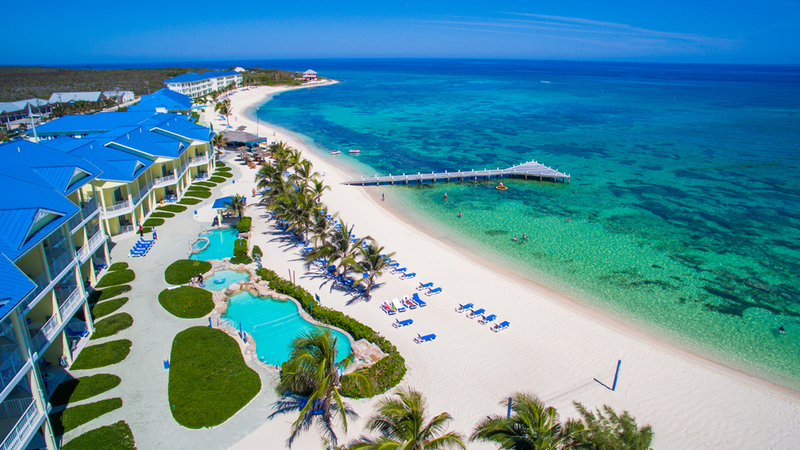 SEVEN MILE BEACH - BUILD YOUR OWN includes 7 nights Deluxe View accommodations, welcome non-alcoholic drink, daily snack by the pool, free WiFi, use of non-motorized watersports, roundtrip airport transfers, hotel tax, and service charges. Options to add-on Stingray City Snokel Tour and Cayman Island Tours. SEVEN MILE BEACH - BUILD YOUR OWN PACKAGE includes 7 night studio accommodations, breakfast daily, free WiFi, roundtrip airport transfers, hotel tax and service charges. Options to add-on Stingray City Snokel Tour and Cayman Island Tours. SEVEN MILE BEACH - BUILD YOUR OWN PACKAGE includes 5 nights islandview accommodations, free WiFi, daily scheduled activities, roundtrip airport transfers, hotel tax and service charges. 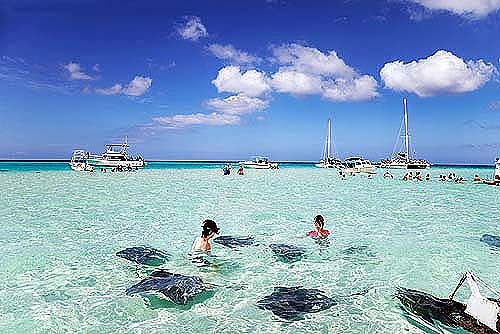 Options to add-on Stingray City Snorkel Tour and Cayman Island Tours. 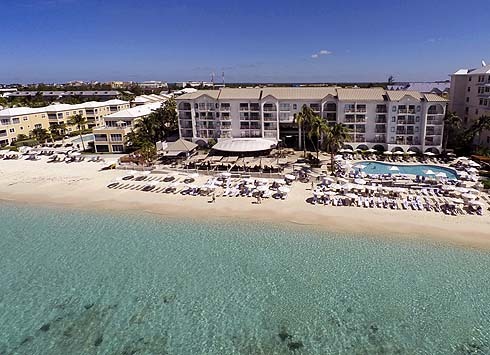 SEVEN MILE BEACH - This all-suite resort is affordably priced and located just 50 yards from Grand Cayman’s famous Seven Mile Beach. All suites have either kitchenettes or full kitchens. Complimentary daily breakfast buffet and free WiFi are also included. Ambassador Divers, a PADI dive operation, is located on site to provide a wide array of dive services as well as snorkel tours to Stingray City and the wreck of the Kittiwake. 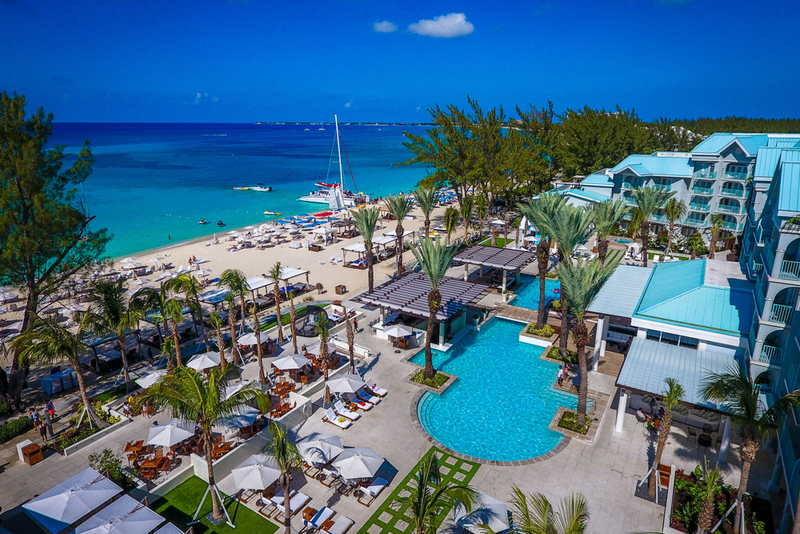 SEVEN MILE BEACH - Centrally located on world-famous Seven Mile Beach, Marriott's Grand Cayman Resort offers superior service and understated luxury in a relaxed atmosphere. All rooms are well-appointed and offer private balconies. Amenities include 4 restaurants, La Mer Spa, a beachfront pool, fitness center and a wide array of both land and watersports activities. Dive services are provided by Red Sail Sports offering a full array of watersports including dive excursions, dive instruction, snorkeling and sailing excursions, parasailing and more. EAST END - Wyndham Reef Resort offers rooms right on the beach with sweeping, unobstructed views of the Caribbean Sea. Comfortably furnished with colorful island decor, the Studios, 1- and 2-bedroom condos are perfect for families or couples. 152 spacious and comfortable condos offer beachfront bliss. Dining plans include the all-inclusive add on with all meals and drinks. SEVEN MILE BEACH - The Westin Grand Cayman Seven Mile Beach Resort & Spa offers 343 luxuriously appointed guest rooms amid lush tropical gardens with waterfalls and fountains, freshwater pools, whirlpools, restaurants with indoor and outdoor seating, lounges, 24-hour room service, swim-up pool bar, fitness center and luxury spa. Red Sail Sports is located onsite offering diving services. A valid passport is required for entry with one available page for entry stamps. No Visas are required for U.S. and Canadian citizens. Check the entry and exit requirements here. Vaccinations are not required for entering the Cayman Islands if you're coming from the U.S., Britain, or Canada. Please check with your doctor or visit the Center for Disease Control's website here for more information. For almost as long as it has been a mecca for divers, Grand Cayman island has also served as an international hub of finance and banking. This has provided the island with one of the highest standards of living in the region. Upscale shops, galleries and modern office buildings line the streets of downtown George Town, while West Bay Road is lined by high-end beachfront resorts and the gateway facades of new residential developments. But these islands aren't just for the international elite. Not far from five-star dining, one can purchase a meal of jerk chicken and peas'n rice from a beachside shanty, or savor a cold draft and a game of dominoes with a crew of fishermen and dive masters. At trip to the island's eastern shore, or the palm-fringed shores of Rum Point is like stepping back in time, while a flight to the Sister Islands is a different world entirely. Social climbing on Cayman Brac means inviting someone to join you for a walk up the Bluff Road for panoramic island views from Deadman's Point. On even quieter Little Cayman, nightlife might involve a tumbler full of rum and a beachside hammock under the stars. Electrical current is 110 volts AC, 60Hz. American-style two-pin plugs are standard and adapters aren't needed for U.S. and Canadian appliances. Phone service is provided by Cable & Wireless. Check with your provider to see what rates apply or you will be subject to roaming charges. There are many public WiFi hot spots on Grand Cayman and most hotels offer WiFi. Cayman water supplies piped water to the Seven Mile Beach and West Bay areas of Grand Cayman and is safe to drink by World Health Organization (WHO) standards. Cayman Brac supplies desalinated salt water and Little Cayman has its own water system. If you are unsure of the water quality, bottled water is also available for purchase. English is the official language. The local currency, is the Caymanian dollar, but the U.S. Dollar is used interchangeably. Credit cards are widely accepted. The Cayman Dollar is represented as CI and offers denominations o f $100, $50, $25, $10, $5, $1 and coins of 25 cents, 10 cents, 5 cents and 1 cent. Check the current exchange rate here. The Cayman Islands are on Eastern Standard Time (EST) and do not observe Daylight Savings Time. The Caymans are 5 hours behind Greenwich Mean Time (-5 GMT). The Cayman Islands are comprised of 3 islands and are a British Overseas Territory located in the Western Caribbean. They are located South of Cuba and Northwest of Jamaica. Grand Cayman, the largest of the three Cayman Islands, lies in the far Western Caribbean, 480 miles south of Miami and occupies 76 square miles. The sister islands of Cayman Brac (14 square miles) and Little Cayman (10 square miles) are 89 miles to the northeast of Grand Cayman. 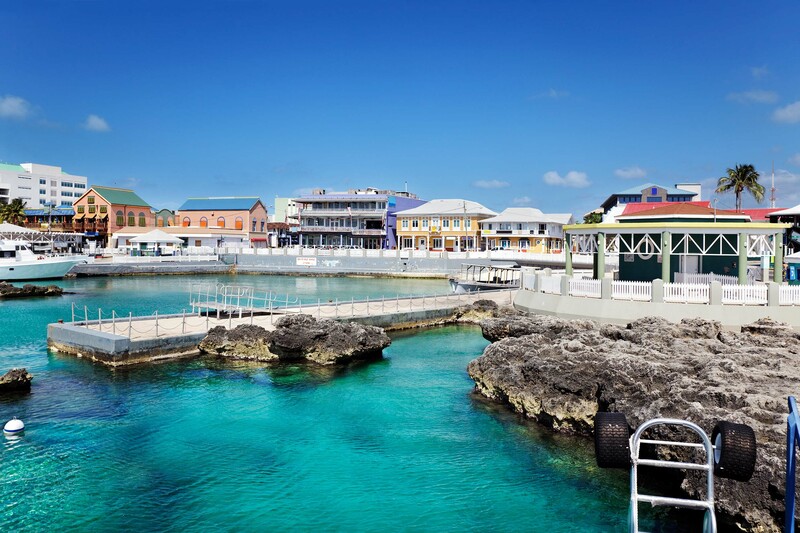 Grand Cayman is approximately 22 miles long and 8 miles at its widest point. Cayman Brac is 12 miles long and just over a mile wide and has the most dramatic topography of the trio. Little Cayman, only 10 miles long and a mile wide, is flat, reaching a maximum elevation of 40 ft. The three islands are limestone outcroppings, the tops of a submarine mountain range called the Cayman Ridge, which extends west southwest for the Sierra Maestra range off the southeast part of Cuba to the Misteriosa Bank near Belize. The population of the Cayman Islands is 60,764 (2016).